Saskatoon native Taya Raine, with children in Liberia, where she does development work with Samaritan's Purse. A Saskatoon development worker in Liberia is in the midst of a desperate effort to contain an Ebola outbreak that has killed 12 people in the West African nation. Taya Raine, 29, usually organizes projects to bring clean water and sanitation to small rainforest villages, but in the three weeks since the incurable virus showed up in a local city, she and her Samaritan’s Purse colleagues have redirected all their efforts to helping the government and health officials. “It’s all hands on deck right now, whatever is needed is what we do,” Raine said. The virus appeared in neighbouring Guinea earlier this year and has killed 101 people there, making it one of the worst ever outbreaks of the disease for which there is no vaccine, no cure and no specific treatment. The strain of virus is also the most deadly, with a 90 per cent fatality rate. Those trying to contain it face an uphill climb; the country’s infrastructure was reduced to rubble during a 14-year civil war that ended in 2003, leaving even Monrovia, the capital city of one million people, without power or a running water and sewage treatment system. Literacy rates are low and the concept of germs spreading disease is foreign to many, such as those who rely on amulets tied around their children’s necks and wrists to protect them. Ebola spreads in bodily fluids and because patients suffer vomiting, diarrhea and bleeding health care workers are often infected. Three of the Liberian deaths were health workers. The virus is also spread when people eat the bats, monkeys and other animals that carry it. Chicken, goats, sheep and fish are safe but are also more expensive. Ebola, which was first identified in 1978, requires special equipment to confirm in medical laboratories. Until Doctors Without Borders set up a field lab in Guinea during the current outbreak, blood samples had to be flown to France, Raine said. Samaritan’s Purse is a non-denominational evangelical charity providing relief aid in about 45 countries afflicted with disaster, war, disease and famine. Their Operation Christmas Child shoebox program is familiar to many Canadians. 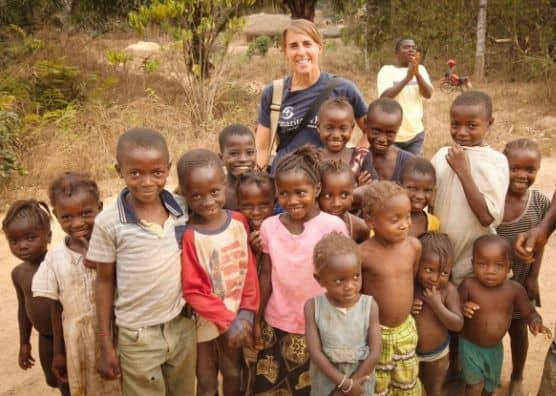 Raine, who graduated from the University of Saskatchewan in 2006 with a degree in international studies, has been with Samaritan’s Purse since 2008, mainly helping communities dig wells and build latrines. 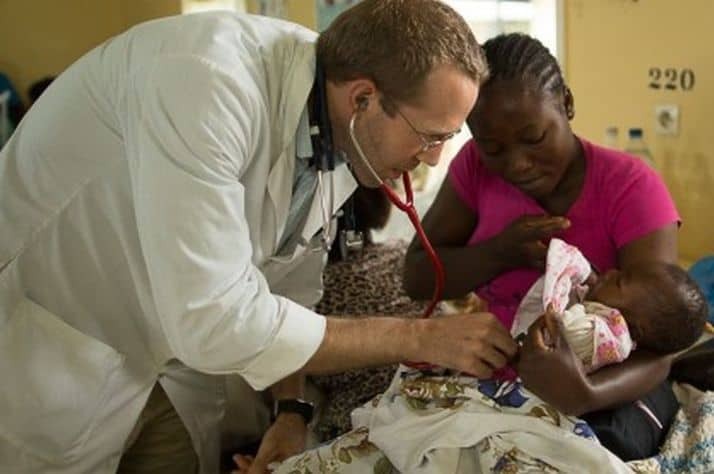 When she and four other Canadians on the Liberian team learned that the hospital in Foya, only an hour from the Guinean border, had cases of Ebola, they offered their service to the health ministry. Samaritan’s Purse has a helicopter that is normally used to transport building materials to remote forest communities. Now it delivers blood samples to the field lab in Guinea and transports staff from the World Health Organization, Centre for Disease Control and Doctors Without Borders to save them days of travel on rubble and mud roads. The organization has helped build an isolation ward at the Foya hospital and recently distributed a planeload of supplies to prepare the Monrovia hospital for case that might arrive there. Raine has relocated to Monrovia, where she co-ordinates communications between the government and prevention workers who travel to the remote locales and explain germ transmission, teach hand washing and provide soap. Raine’s days are long and consuming.